Colorado Bison and Buffalo Hunts | Bow and Rifle Hunting! If you're a Colorado big game hunter, you're lucky enough to live in one of the best states for hunting large game, and you've probably had several years of experience. You might hunt elk, bear, or prefer deer most of the time, but every now and then, you might want to really test yourself as a hunter. If that's the case, making the choice to hunt a buffalo is a great way to test your mettle, since buffalo are North America's largest big game animal and can be incredibly dangerous if you don't know what you're doing. 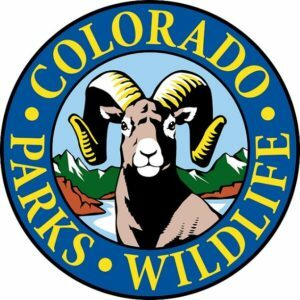 Colorado doesn't issue buffalo tags for public herds. With good reason, too. The buffalo herds native to Colorado were nearly wiped out during the late eighteen and early nineteen hundreds, and it's only recently that they've been introduced. How recently? In 2015 Colorado Parks and Wildlife released about a dozen bison near Fort Collins. Together with a small herd located at the Buffalo Herd Nature Preserve, these animals represent the only public herds in Colorado. So, long story short, you're not going to be hunting a buffalo in Colorado on public lands any time soon. Luckily, the lack of public herds in Colorado don't have to be the end of the story for you. At Hi Mountain Bison & Buffalo Hunts, we're proud to offer Colorado hunters an opportunity to hunt buffalo on private lands no matter what time of year. Although you might have a preference as to when you want to reserve your buffalo hunt, the truth is that we don't mind when you come, we're happy to have you. Hunting buffalo is an experience that few people can say they've had, and we want to make sure to accommodate your schedule so that you can join the ranks and be able to say you've killed a buffalo of your own. At Hi Mountain, we offer a range of animals to fit your budget and your tastes. Our herd has grown over the years and now boasts over seventy bison, including yearlings, cows, and several bulls. If you're interested in taking charge of your hunting career, we encourage you to get more information about our buffalo hunts or view our gallery. In addition, please get in contact with us so that you can get answers to any questions you may have.